Windows displays a "Welcome" screen that hides your logon script. By default, it only gets visible, if the execution takes more than 30 seconds. To change this, you must set a Group Policy setting. 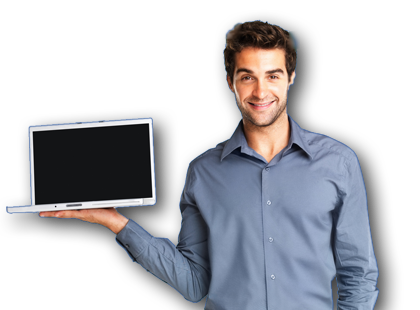 You must also disable print driver restrictions to allow users to install printer drivers. But - all you need to do is to import a custom ADMX policy template file and you're done. When you used the Logon Script wizard to set up the logon script, a custom ADMX file was put on the computer that executed the wizard. If this computer is a domain controller, where you edit your Group Policy settings, you will automatically have the "FastTrack Logon" item in the Group Policy Management Editor, as shown below. If it does not appear automatically, follow the procedure under screenshot. You can get to this screen any time either by walking through the logon script wizard, or in logon script edit mode, click the left "GPO settings" menu. Once you have the "FastTrack Logon" configuration in place, simply enable all these 4 settings. You can either enable the settings per user or per machine. If you have already set up Software Deployment, you can enabled the same settings here per machine. You can say that it has no place in Software Deploy, but it is simply there for your convenience, in case you set this up first and now need to set up a logon script. 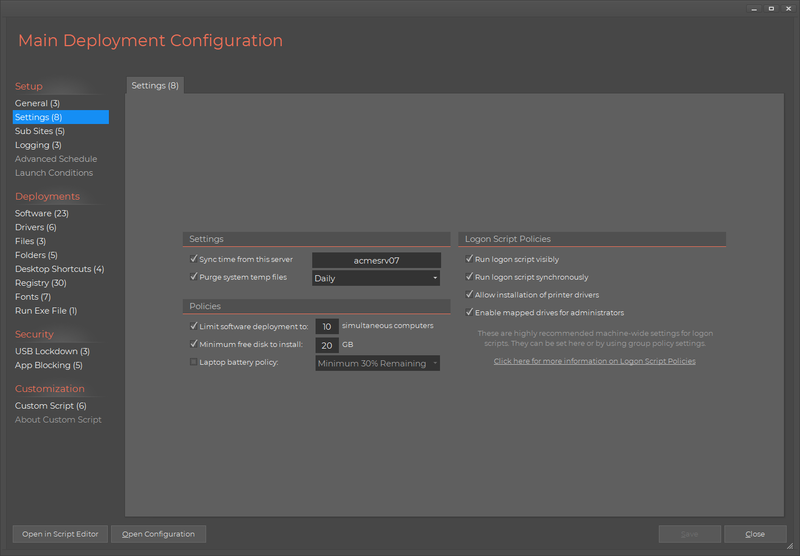 The screenshot below is from the Software Deployment wizard, where you enable the settings under "Logon Script Policies". If you enable theses settings here, you do not need to set Group Policy settings also. If you are still using the unsupported Windows 2003 server, you do not have support for admx file. In this case, please follow this alternative procedure, setting the same settings by individual Group Policy settings. If you have not enabled the group policy "Run logon script synchronously", the first part of the logon script may not execute before the explorer starts, the first time a user logs on. To enable synchronously logon script execution, please set the group policy "Run logon script synchronously" under "User Configuration -> Policies -> Administrative Templates -> System -> Scripts" to "Enabled". If you use the ConnectPrinter or ConnectIPPrinter commands to connect printers, you should remove the security warnings for installing printer drivers. Locate "Point and Print Restrictions" under "Computer Configuration -> Policies -> Administrative Templates -> Printers" and set to "Disabled". Under Windows 2003, this key exists under "User Configuration -> Policies -> Administrative Templates -> Control Panel -> Printers" instead.